We want to share the good news! 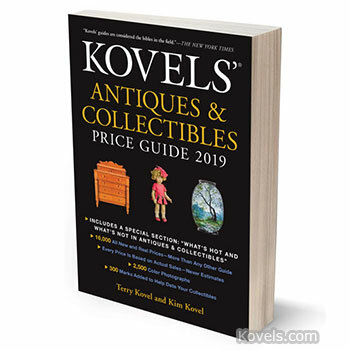 The brand new, hot-off-the-press 51st edition of Kovels’ annual price guide, Kovels’ Antiques & Collectibles Price Guide 2019, was the Number 1 New Release in the Trivia and Fun Facts book category on Amazon.com. Looking to buy a copy? Get two FREE gifts if you purchase from us or you can buy from Amazon.